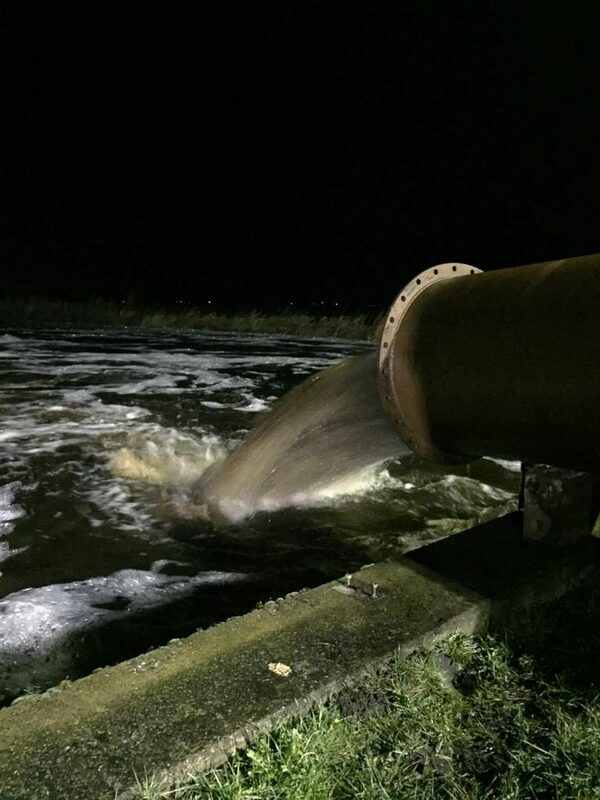 On Monday March 11th round three p.m. we received a call from the Friesland Water Board, that pumping capacity was necessary at Ter Idzard. 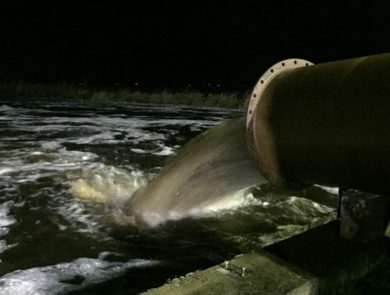 Heavy spring rains and stormy weather had caused the water levels to rise. 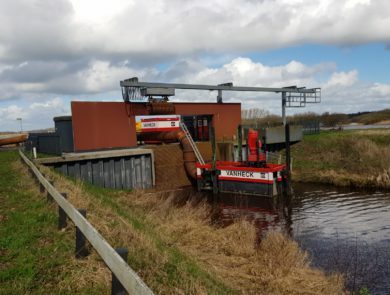 The pumping station in Ter Idzard, currently under renovation, did not have enough capacity to cope with the rising water level. Van Heck can fortunately react quickly and our project manager went on site to view the situation and to determine the necessary equipment. At the end of the afternoon, back in Noordwolde, a plan was made with the rest of the team. 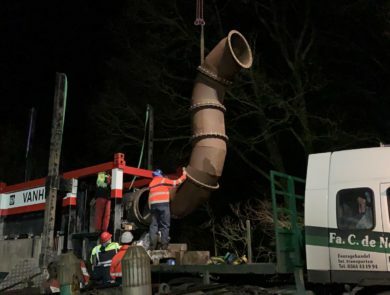 In Noordwolde, the electrically driven VP-800 pump set with pipework were prepared. As dusk had already fallen much of the assembly of bends in the pipework was done are in our workshop prior to departure. Our local transporter Fa. C. de Nekker and Son responded quickly and around eight p.m. the first truck left for Ter Idzard. At Ter Idzard the press was present for interesting shots and to see the successful teamwork between the different parties. By two a.m. the installation was complete and running, so everyone could go home for a well-deserved rest. 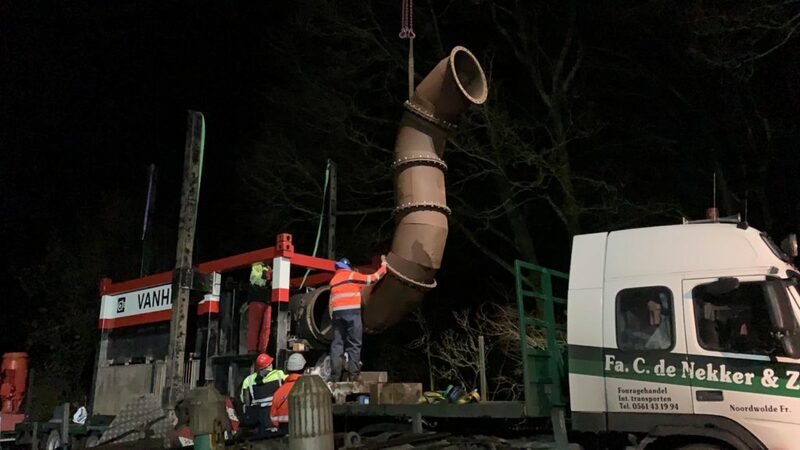 On Tuesday March 19th, in consultation with the Friesland Water Board, the pump set was dismantled and returned to Noordwolde.